Matthew West won the Dove Award for Songwriter of the Year last night, Tuesday 10/16/18. I talked with him this morning. 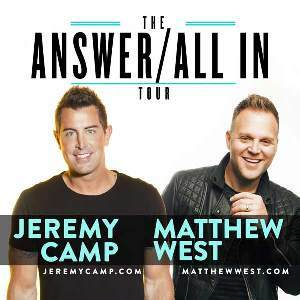 He’ll be in Macon on Thursday 10/18 with Jeremy Camp for The Answer/All In Tour.